Bank of America offers a truly one of a kind savings, checking and debit card promotion. In order to avail of this, the depositor must have a savings account, checking account, and a check debit card. So here’s how it works, the program is called “Keep the Change”, and rightly so. Because for every purchase made with the debit card, Bank of America rounds the purchase off to the nearest dollar and transfers the rest automatically from your checking account to your savings account. In a way, it’s as if you’ve got automatic savings. For example, let’s say you bough a pair of shoes at $25.01. The charge that goes to your debit card will automatically be $26, and the 99 cents that wasn’t part of the original price will be directed to your savings account. Another big plus aside from automatic savings is that during the first three months, Bank of America will match whatever amount you “saved”. So by the end of the year, Bank of America will give you another 99 cents, up to a maximum of $250. Some people have found some creative ways to build up their “savings”, such as filling up their gas tanks to only $2.01 at a time, buying stamps at an automated machine, or buying small purchases in a grocery one at a time instead of by bulk. Whatever your strategy may be, it’s time to get creative just to get to that $250. Some limitations are that ATM purchases are not considered to be a part of the promotion. Only five checking accounts per depositor is allowed, or five checking accounts per household, whichever is lower. Eligible savings account includes the Regular Savings Account with a minimum opening balance of $25. And also, the Keep the Change promotion may be modified or canceled at any time, without prior notice. Some fees may reduce earnings. UniWyo Gives 3.65% – On A Checking Account! With CD Rates dropping like hot potatoes, it comes as a shock to see a nifty rate of 3.65% (the highest CD at this time is 3% by Navy Federal). But guess what, this incredible rate isn’t even for a certificate of deposit, rather, it’s for a checking account. Yes, it’s something completely new, and it’s certainly a different kind of rewards checking account. That’s why UniWyo Federal Credit Union has named it the Xtraordinary Checking Account. Instead of giving away iPods or cash, UniWyo is rewarding their customers with higher rates. And that’s not all, you also get the chance to earn some money by signing up to their E-statements. The best thing about it is, you can qualify monthly! If you missed to make at least 10 debit transactions in a month, you can go ahead and try it again next month without fear of having defaulted from the special rate. As always, there is the fine print. So here’s what you need to know. The special rate will only apply to balances up to $25,000. All balances over $25,000 will be awarded a rate of 0.15% APY. When qualifications for the month are not met, rates will also be 0.15%. And lastly, the rates are subject to change without prior notice. So those are the things you need to watch out for with this promotion. If you think you can handle the fine print, then go on and head down to UniWyo. One good thing about the fine print though is that no minimum balance is required. 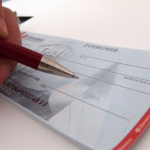 So you won’t suffer from any penalties should you fail to deposit in your checking account. UniWyo is located in of course, Wyoming. Wondering how to get your teen to save more? The REALTunes Checking Account from NorStates Bank just might be able to help. Instead of giving out checking account rewards of higher interest rates which teens might find boring and uninteresting, NorStates Bank is giving away free iTunes downloads as an alternative. By performing simple banking functions every month, account holders will be able to receive iTunes download refunds which may be more satisfying and relatable for youngsters. Aside from having the chance to get free music from the likes of Lady Gaga, Katy Perry, Maroon 5, and other popular artists, iTunes applications and ring tones are also included in the package. By signing up, account holders can earn up to $9.95 free iTunes download refunds. Plus they will be able to earn up to $4.95 of the same refund for each statement cycle. This checking account has no minimum balance required, no monthly service fees, and has nationwide ATM fee refunds. Other perks include free internet banking with bills payment functions, unlimited check writing with no per-check fees, free online statements with check images, and a free MasterCard debit card with UChoose Rewards. If these sounds like something your teen (or perhaps you, if you’re interested) is already doing, then getting rewards would be pretty simple. However, if the qualifications aren’t met for one statement cycle, there’s no need to worry. By the next month, your teen will be able to re-qualify for the iTunes downloads and ATM fee refunds. NorStates Banks is located in Illinois, with branches in Waukegan, Gurnee, Round Lake Beach, Winthrop Harbor, and Antioch. Get $10 Free With US Bank Visa Buxx Card for Your Teen. A few days ago we posted an article about the Visa Buxx Card for teens. If you sign up with US Bank your teen could get $10 for free add onto the card. If your plans were to sign up your teen for the Visa Buxx card why not take advantage of $10 free dollars with US Bank. How to get the $10? It is actually quite simple. Simply use the coupon Buxx10 when you sign up through US Bank and your teens Buxx card will get 10 FREE dollars packed into that card. What is the Visa Buxx Card? That is a great questions. Head over to our What is the Visa Buxx card article to find out all the details and see if it is right for you and your kids. You can head to the US bank site to sign up and get all the fine print here. Don’t even worry about using a credit card because this is a debit card. 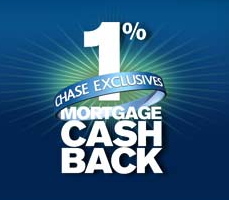 Yeah thats right… no interest and great bonus miles. You can earn 3000 bonus miles today. 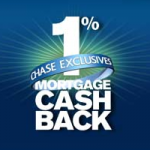 Bank of America has teamed up with US Airways to offer this great deal. There is a $30 annual fee, but the cards perks include. The 3000 bonus miles (given after the first purchase. A few of the Negatives. Miles will not be earned on ATM transactions. 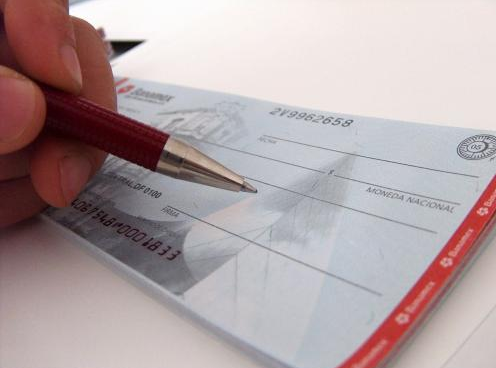 Must keep your checking account active to receive benefits. Bank of America is one of the nations largest financial institutions.